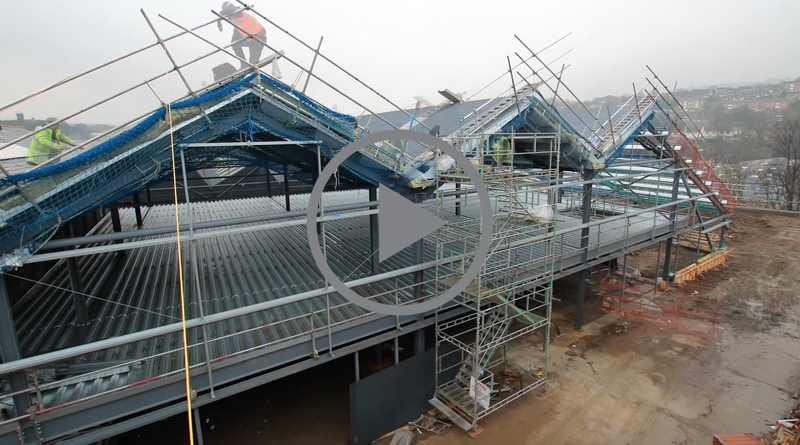 Throughout the build, we filmed the construction teams in action, capturing the progress made every day. And once the factory was up and running, we condensed the shots taken each day down into four minutes. The result was a pretty inspiring time lapse video; not only showing the old Hammond Sauce building coming down and our new factory being built, but it captured the changing of the seasons here in Yorkshire and our team as they began working on the new covers in the brand new space.